Two lorries carrying up to 7.5 tons of weight and three small transporters full of kitchen utensils were collected in several centres in Germany, Austria and Switzerland. Our volunteers picked up the boxes in Weimar, Erfurt, Bamberg, Augsburg, Benediktbeuren, Munich, Oldenburg, Dortmund, Koblenz, Ulm, Berlin, Vienna, Graz and Basel. In all these places they received a very warm welcome. They were offered tasty food and accommodation. 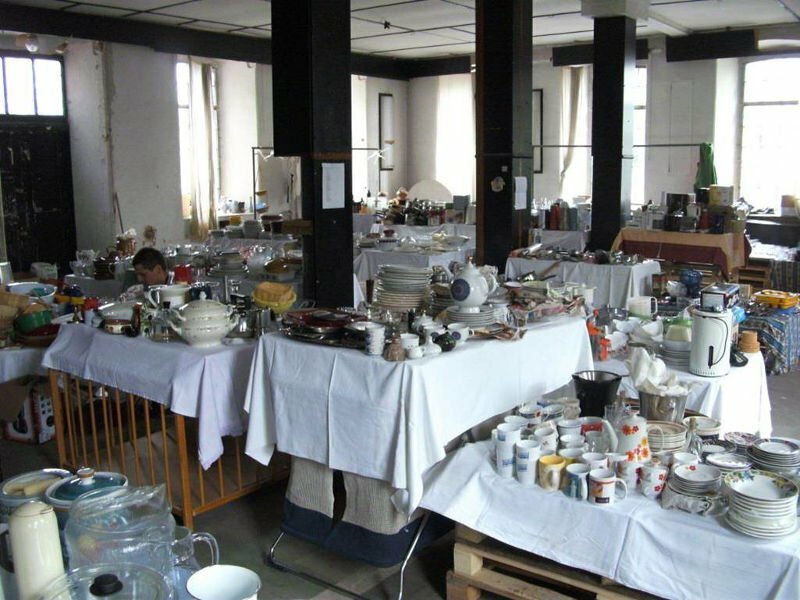 After the material was brought to the charity division in Leśna, it was sorted and nicely arranged on the tables provided. The first event took place on 27th of June, and one hundred families were invited. Within just 40 minutes all the offered kitchen utensils were taken. On a second distribution day on 4th of July we offered clothes for adults and children as well as toys. There was still enough material so that we could organise two more charity distributions in our local town Pobiedna. Hereby we would like to thank all the people, who participated and contributed to this project in any way. We look forward to further project in any way. We look forward to further cooperation in future charity projects.